Can only be purchased through Superbuy website. No purchase limit, customer can use up to available balance. E-Statement: Automatic enrolment for your E-Statement and view your monthly statement via email or Maybank2u. Obtain your log in ID and password from any Maybank branch. 1x Treatspoints for every RM3 spend on retail transactions. 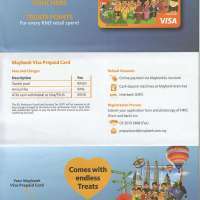 Terms and conditions of the discount voucher. 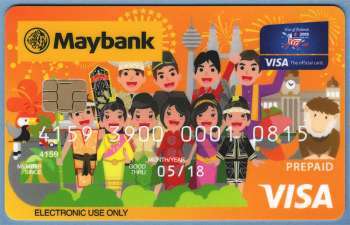 The Malaysian Goods & Services Tax (GST) will be imposed on all fees/charges charged by the Bank to our card members where applicable effective 1 April 2015 at the current prevailing rate. Complete form with Name, NRIC and Prepaid Card number. To change PIN same day and Prepaid card ready for withdrawal. At Main menu, please select a transaction. Select other amounts or account. Please enter amount to be issued RM0.00. Transaction processed, take card and cash. Transaction processed and available balance displayed on screen. Check your card balance via Short Messaging System (SMS) Alert. 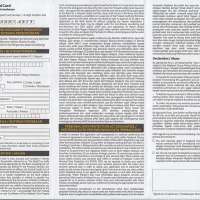 Type PCBAL (space) first 6 digit of card number(#)last 4 digit of card number(#)customer ID. Send to 66628. Yasinkhan. Yes, you can book for hotel and air tickets. Do visit Maybank branch and fill the application form there. 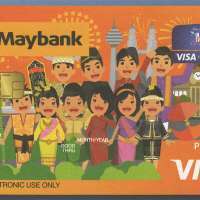 Can book the hotel and air tickets and another online things can buy use Maybank Prepaid card? And is it available for foreginer? And which documents needed for registr Maybank Prepaid card for overseas citizen? 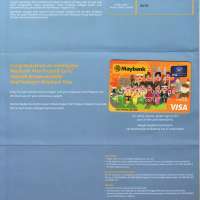 And where I can get this Maybank Prepaid card? Where to apply? 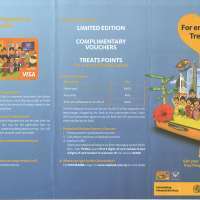 Fallow up temporary pin manchester prepaid card. Hi to fallow up tempory pin. .every time i call ur costumer service busy and call back later. How can i get my tempory pin. .every time i call ur line busy all call back later.